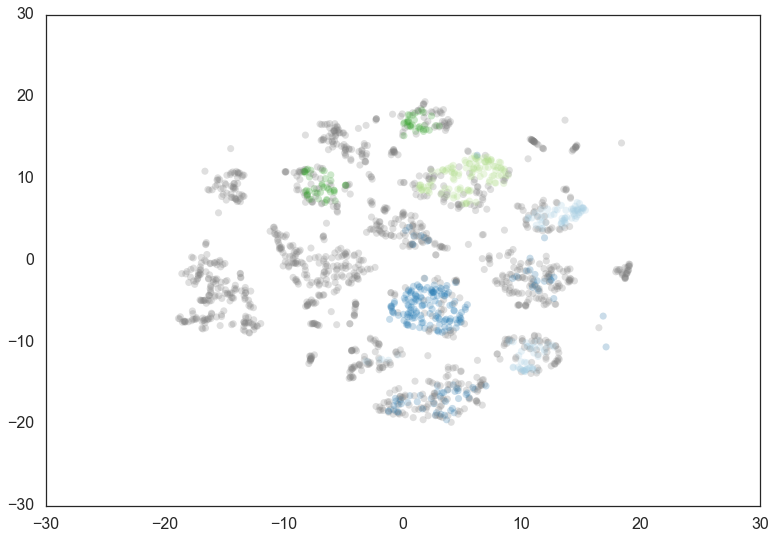 As you can see this results in us recovering something much closer to our original clustering, only now with some of the smaller clusters pruned out. Thus min_cluster_size does behave more closely to our intuitions, but only if we fix min_samples. If you wish to explore different min_cluster_size settings with a fixed min_samples value, especially for larger dataset sizes, you can cache the hard computation, and recompute only the relatively cheap flat cluster extraction using the memory parameter, which makes use of joblib [link]. Now most points are clustered, and there are much fewer noise points. 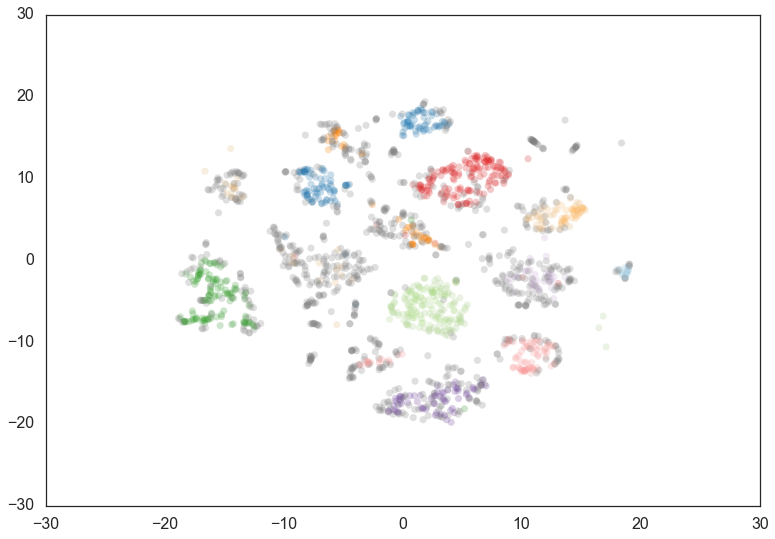 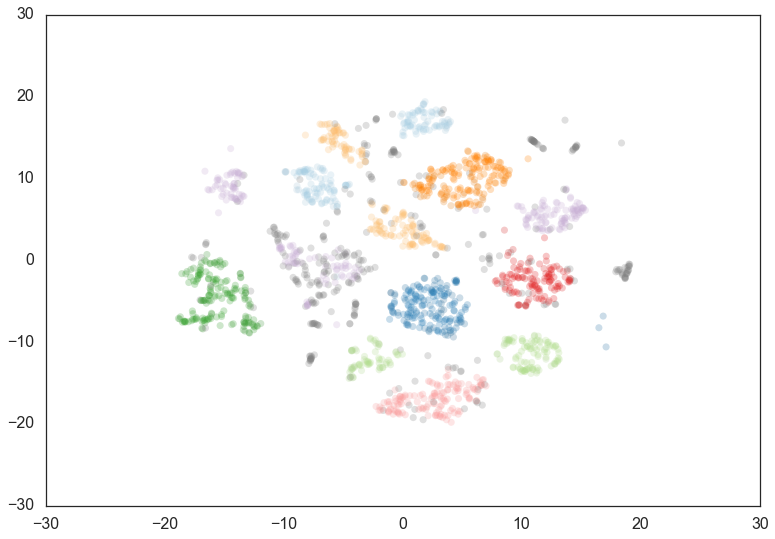 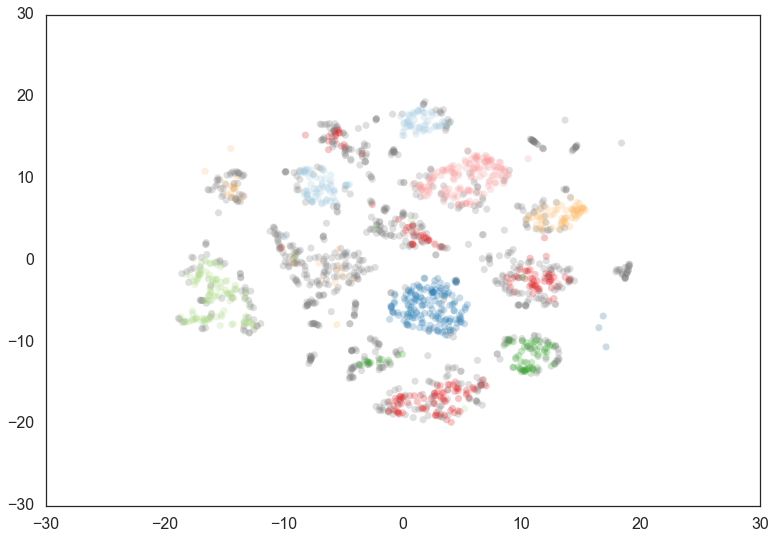 Steadily increasing min_samples will, as we saw in the examples above, make the clustering progressivly more conservative, culminating in the example above where min_samples was set to 60 and we had only two clusters with most points declared as noise.